Florence was the daughter of Fred T. Larson and his wife, Hanna Hanson Larson. She limped and had pain all her life from a badly set leg when she was a child. She never married, and lived for many years with her sister and brother-in-law, Martha Larson Pillman and Harry Pillman, first on Whipple Street in Chicago, and then on Prairie Avenue in Barrington, Illinois. 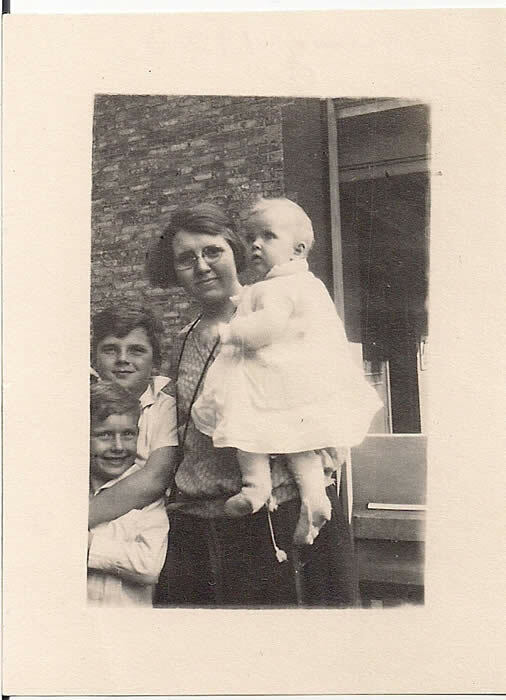 She loved and cared for her cousins who were children -- first, the children of her first cousin Harry Hanson and his wife Antoinette Seghers Hanson, and later, near the end of her life, a child of one of those children, me. 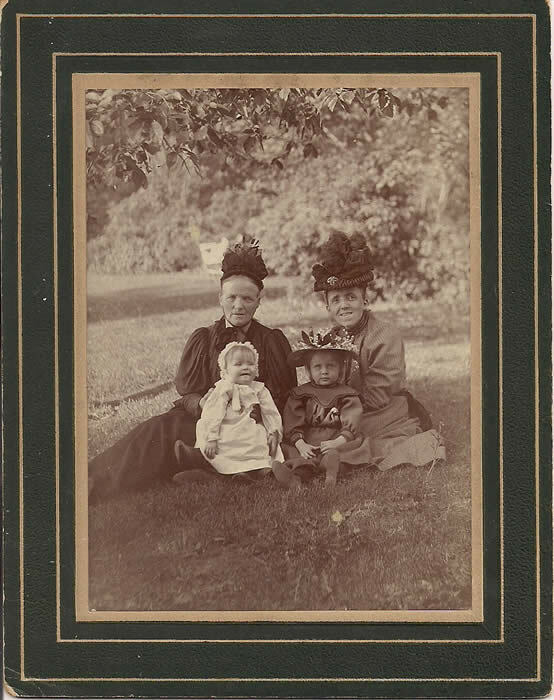 Ingebor Sofia Skarpness Hansen (1841-1918), with her daughter Hanna Hanson Larson (1868-1925), and Hanna's two daughters Florence Larson (1899-1958) and Martha Larson Pillman (1896-1973). Florence Larson (1899-1958) in August, 1923, with Eugene J. Hanson (1916-1997), Harry Hanson, Jr. (1913-1983), and Marie Antoinette Hanson McNamara (1922-2002). 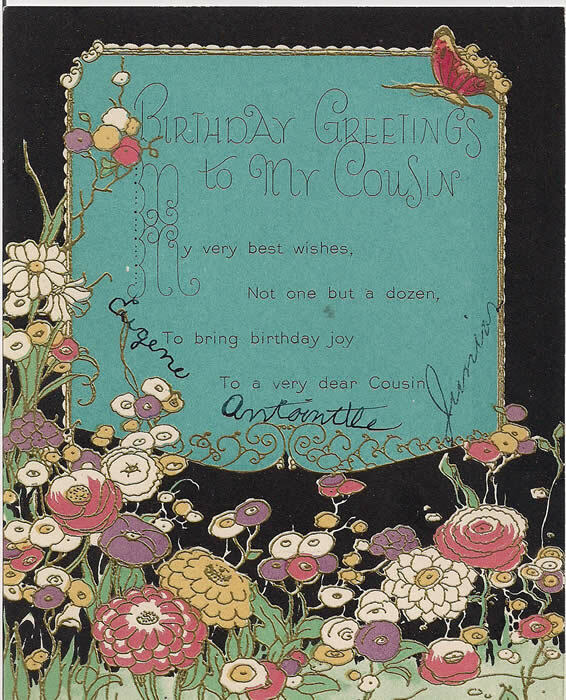 A birthday card to Florence, signed by Harry and Antoinette's three children, probably about 1930.